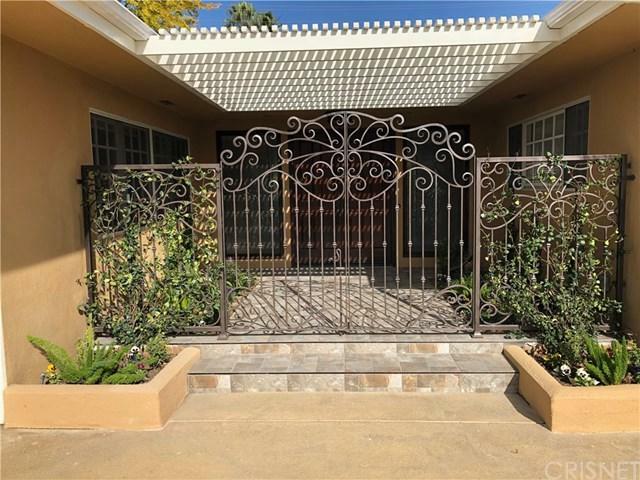 Luxurious single story home located on a very quiet street in Woodland Hills. 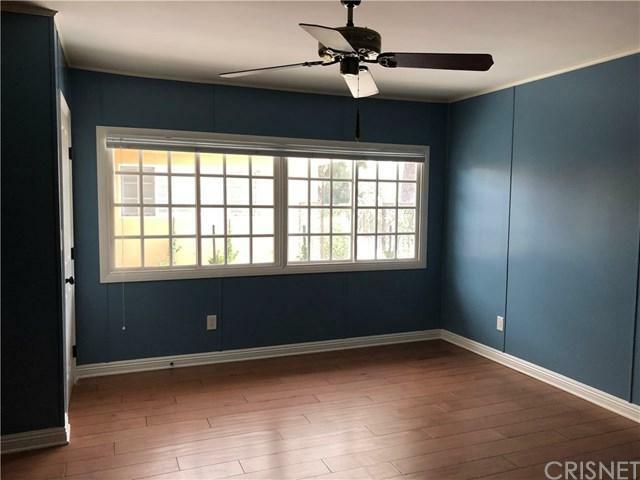 This entertainers 4 bed 2.5 bath home which is set way back from the street on a super wide lot in a tropical setting boasts unlimited parking on the street or on the expansive driveway. 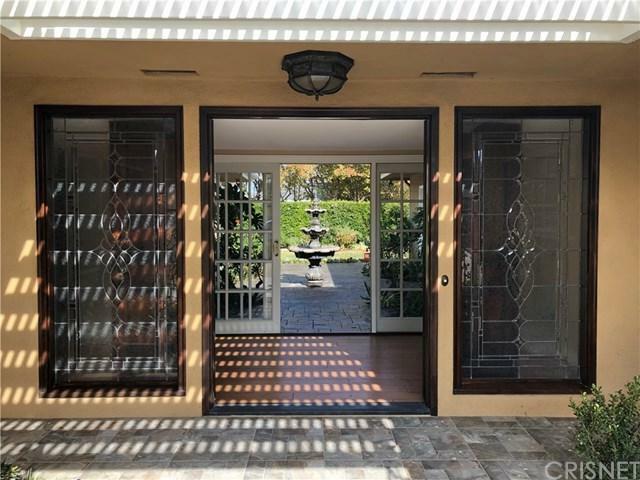 Well Maintained and available for the first time in over 50 years, enter through an atrium with elegant double front doors, only to step in and view another atrium courtyard complete with beautiful fountain and super private lush landscaping throughout. Extra large windows abound in this expansive floor plan with all daylighting and views from every room. The ambiance created by the custom koi pond and waterfall expand on the tropical setting, complete with mature palm trees and a quaint gazebo, perfect for morning breakfasts with guests. Super private, virtually detached master bedroom suite with newly upgraded master bathroom provides an oasis of its own. 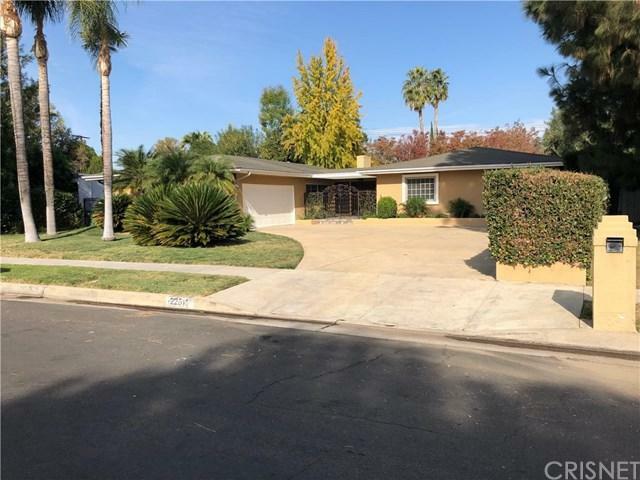 Within walking distance to major malls, shops, dining, and the new village, this home has it all. Brand New A/C, Carpet, Pond Equipment and new upgrades throughout complete this wonderful package. Listing provided courtesy of William Glover of Flat Fee Inc.